After months of anticipation, the $10,000 World Series of Poker main event got underway earlier today. 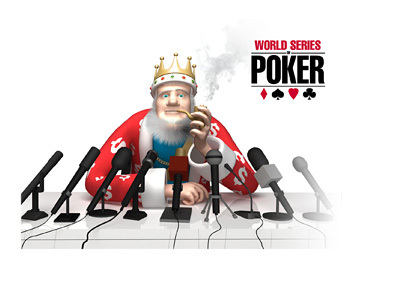 As a number of high profile events ($111,111 High Roller for One DROP, $25,000 High Roller Pot Limit Omaha) continue to rage on, attention has started to shift to the biggest tournament in poker - the WSOP main event. There are three starting flights for the World Series of Poker main event - with no re-entries, players have to choose carefully when it comes to picking their starting day. Some like to play the first flight so that they can rest over the next two days or leave Las Vegas if they get knocked out, while others prefer to wait until Day 1C when the crowds are the biggest. The more notable players tend to prefer to play in the last starting flight, as many are involved in events that are still ongoing. For that reason, Day 1A of the event tends to have the smallest field, while Day 1C has the biggest. One of the biggest draws of playing in the World Series of Poker is being able to contend against the likes of Daniel Negreanu and Phil Hellmuth, which is why casual players also tend to wait to play on Day 1C as well. Tournament organizers are hopeful that this year's World Series of Poker main event field will top last year's total of 6,420 players. Last year's main event was won by Joe McKeehen, who ended up taking home $7,683,346 and the gold bracelet.